Dr. Neo Bijuan is the Clinic Director of Neo Smiles. Dr Neo obtained her Bachelor of Dental Surgery degree at the National University of Singapore (NUS) in 2005, where she was awarded the Faculty of Dentistry Diamond Jubilee Gold medal (2002), and the Robert Lin Memorial Medal (2003) for being best in Physiology and Pharmacology respectively. With a keen interest in improving smiles with braces, Dr Neo proceeded to pursue a graduate course in Orthodontics at NUS and graduated with a Master of Dental Surgery (Orthodontics) and a Membership in Orthodontics from the Royal College of Surgeons of Edinburgh. Dr Neo is an accredited orthodontist on the Singapore Dental Council’s Specialist Register. 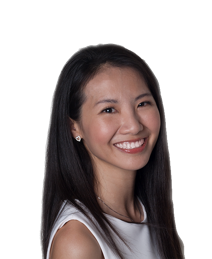 She is a member of the Singapore Dental Association and Association of Orthodontists Singapore. Dr Neo was also previously an Associate Consultant / Visiting Clinician at the National Dental Centre Singapore. Dr Neo is proficient in managing a wide range of dental malocclusions. Her clinical interests include conventional braces treatment, braces for patients with jaw discrepancies, clear aligners treatment, and modification of growth and eruption for young growing children. In her spare time, she enjoys rock-climbing, tennis, and other outdoor sports. She is also mother to two beautiful children.